SO GIVE ME THE NIGHT : THE ART OF RICHARD ORJIS and FUTURE BUILDING OR THE ART OF LIVING CREATIVELY, are Southside Arts Festival 2012 events. Both exhibitions feature the work of artists connected to South Auckland’s tertiary visual arts faculty at Manukau Institute of Technology. FUTURE BUILDING OR THE ART OF LIVING CREATIVELY, curated by MIT School of Visual Arts head of school Grant Thompson, presents recent graduates from the School who are establishing themselves as professionals in the world of visual arts. The exhibition will present their work and stories; and will be accompanied by a panel discussion examining strategies and approaches to earning a living in the creative sector. SO GIVE ME THE NIGHT : THE ART OF RICHARD ORJIS, surveys the works of Auckland based artist Richard Orjis; a multimedia artist well known for his hot-housed floral montages and his series of hand painted mud portraits. The work he produces revolves around three main intersecting and fluid connections: of nature, beauty and mortality. According to Orjis: “Nature can be seen as beautiful, pure, and intrinsically good, but also as dangerous and destructive, a spectacle of the devourers and the devoured.” A tense relationship of attraction and repulsion feeds into his work, exploring notions of beauty laced with an undercurrent of ugliness, or vice versa. Richard Orjis lives and works in Auckland. He completed his Master of Fine Arts at Elam School of Fine Arts, University of Auckland, in 2006 having previously earned a BVA in 2001 at Auckland University of Technology. He currently lectures at MIT School of Visual Arts. 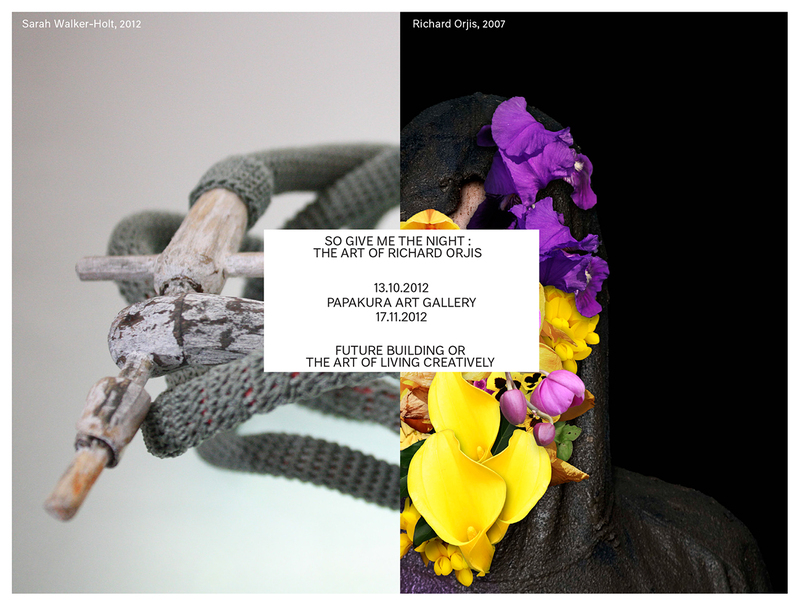 Orjis has exhibited extensively, including shows in New York, Basel, Miami, Madrid, Barcelona, Paris and Auckland. Saturday 13 October 11.30am: Artist Richard Orjis in conversation with Ron Brownson, Auckland Art Gallery Toi o Tāmaki Senior Curator NZ & Pacific Art. Saturday 27 October 10.30am: A panel discussion regarding establishing a visual arts career. Speakers include artists, staff of the MIT School of Visual Arts and industry specialists. Finger Knitting workshop with Sinead Jury. Monday 22 October, 1pm to 3 pm.